You must have seen the dialog box with the error message when using the Remote Console applet that uses Java. There is no definite solution. Use the Integrated Remote Console with Internet Explorer. First you verify if you are running an old Java version. Download Java SE 7 Update 10 at Oracle Java Archive. This method is not advisable since you will be runnning an outdated Java version. 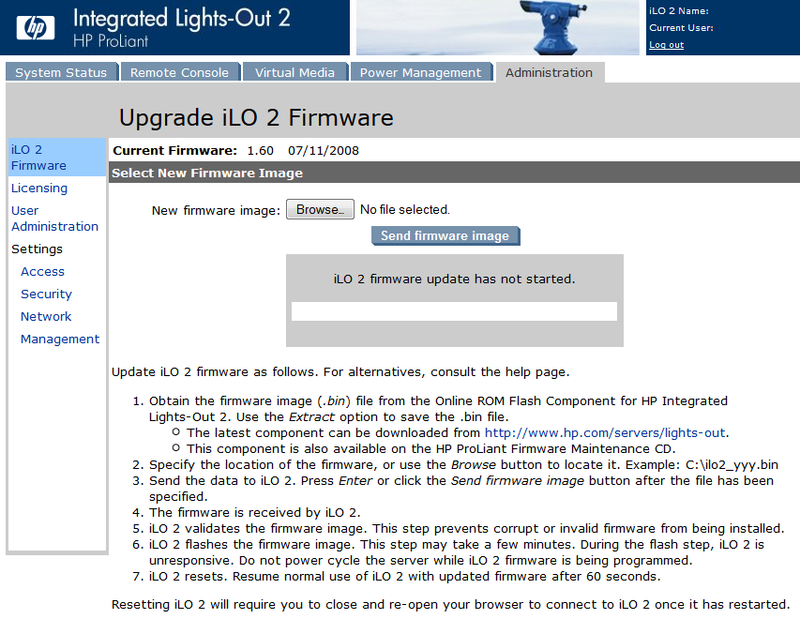 Check if the iLO 2 firmware isn’t too old. Upgrade to the latest version. On the version 2.29 release notes is described that can fix the problem with Java IRC will not start when JRE versions 7 or 8 are installed and TLS 1.1/1.2 is enabled. Copy your configuration and then perform a factory reset to defaults in HP iLO 2 and then reconfigure it. Nothing garantees that it will work but some people reported success with the steps shown above.